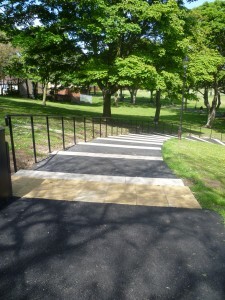 With the support of Hartlepool Borough Councils Landscape Architect we received funding from the Big Lottery Community Space Grant Pot of Approx 99k back in 2011 to provide four new gates, entrance floors and planting. 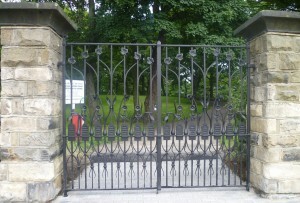 With each gate of different size and construction due to changes over time each gate had to be bespoke. 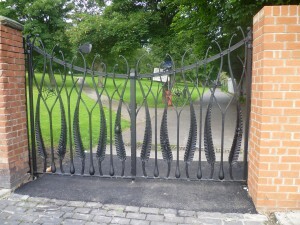 Two Metal Artists were commissioned David Stephenson (above left) created the Jesmond Rd and Chester Rd “Oats & “Sycamores” gates of Jesmond Rd entrance whilst Brian Russell was commisioned to create the gates for the main entrance at Raby/Hart Lane and Raby Road entrance. David who is a qualified teacher gave up teaching full time to follow his passion as a metal artist, was also responsible to work with the school children from Jesmond Gardens and Sacred Heart Primary schools. 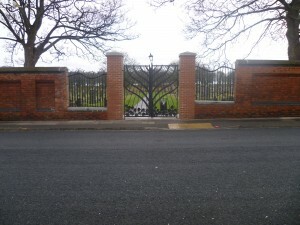 “What the cemetery is about! 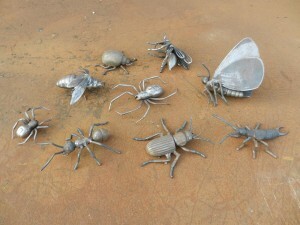 “What it means to them and “What they see in terms of wildlife and plants. 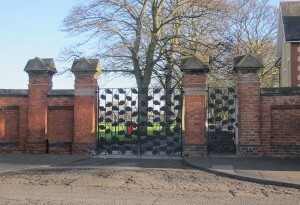 2013 finally saw their completion, Each gate by strange coincidence unique to its self and representative of the four seasons. To celebrate this milestone, a celebration event was planned to enable the pupils to actually have an opportunity to participate in the launch opening as a thank you, see their contribution and ask questions. Followed by traditional games, which had a Victorian and Olympic feel, including puppet show, pony rides. 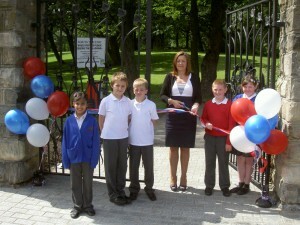 Pic left shows some of the pupils who worked on the designs from both schools with Denise Ogden, Hartlepool Borough Council’s Assistant Director (at the time) of Neighbourhood Services. 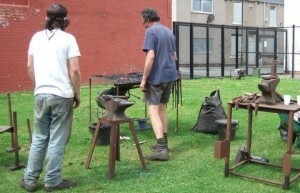 The Activity part was held a week later with a Victorian and Olympic feel and included demonstration of metal artistry by Brian Russell (below). 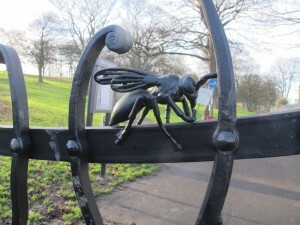 The friends were later awarded a Hartlepool Civic Society Certificate for conservation 2012. 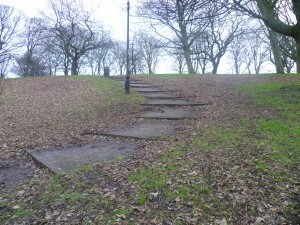 In addition as a consequence of good financial management an underspend accrued, enabling the repairs of the steps, to allow greater access to and from the upper area at the Jesmond Road end of the cemetery, images below show before & after.